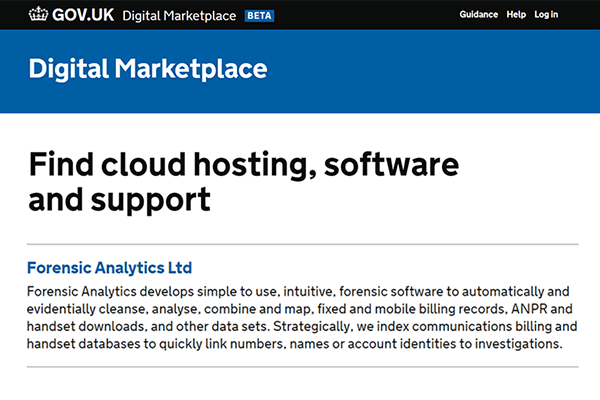 We are pleased to have been selected as an approved supplier of products and services to public sector organisations via the Government Digital Service and Crown Commercial Service‘s G-Cloud 10 framework and Digital Marketplace. This makes it even simpler for UK government agencies to purchase our products. The UK Government G-Cloud is an initiative targeted at easing procurement by public-sector bodies. It consists of a series of framework agreements with suppliers, from which organisations can buy services without needing to run a full tender or competitive procurement process, and an online store, the ‘Digital Marketplace’ (previously ‘CloudStore’), that allows public sector bodies to search for services covered by the G-Cloud frameworks. Since 2012, more than £3 billion of cloud and digital services have been procured by public bodies through G-Cloud. Contact us for more information and a free, no-obligation consultation.